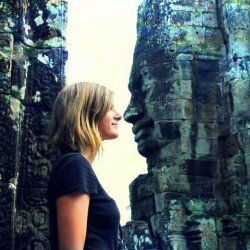 Note: this post contains affiliate links, which help run this site at no extra cost to you so I can keep providing free travel advice and tips. A guide to the best Oahu hikes to tackle while you’re soaking up that island sun, because every trip to the tropics should have a little adventure! 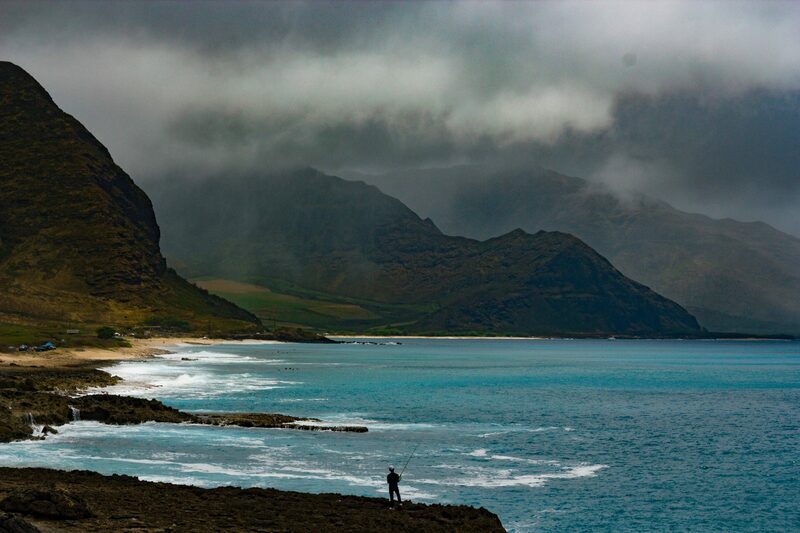 Oahu is an island geared for adventure – both on land and sea. Although there are plenty of water activities to partake in to your heart’s content, Oahu hikes are worth a day or two of exploration if you want to have the best combination of good views and a decent workout. From waterfalls to pillboxes and coastal breezes, these are the top Oahu hikes I’d recommend for any hiker, in order of easiest to the most difficult trails. Pack your rain jacket, prepare for the tropics and some of the best island viewpoints of your life. Welcome to Oahu! One of the most popular Oahu Hikes – Makapu’u Lighthouse. 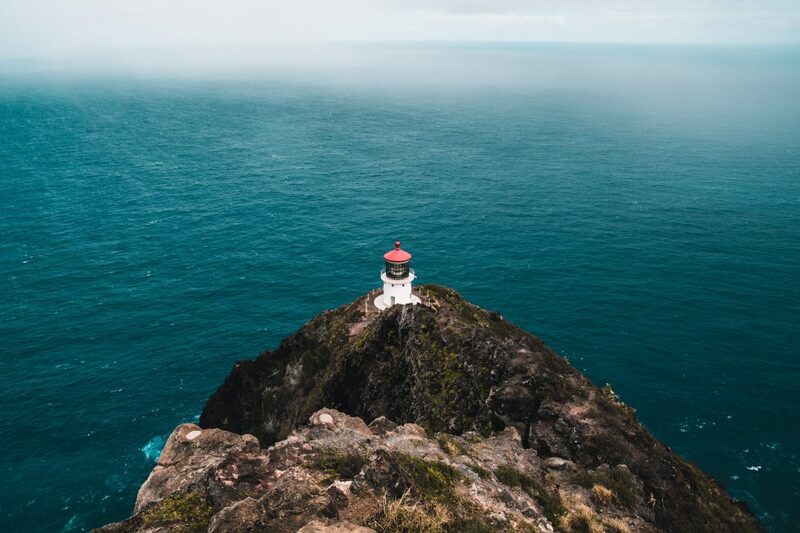 This stunning lighthouse hike in Oahu is a great starter trail if you’re looking to get some ocean views and a nice workout. 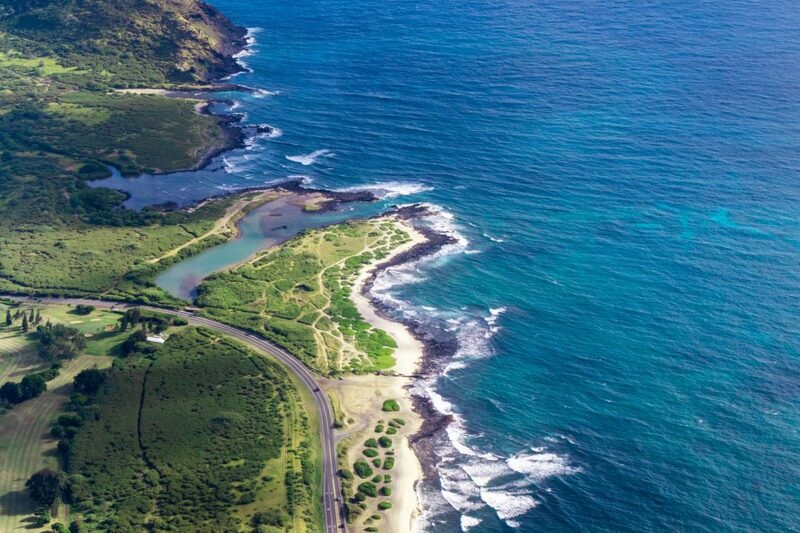 This paved trail will take you uphill to an observation deck and the Makapu’u lighthouse, where you can look for humpback whales and seabirds. Since this hike is on the southern coast of Oahu, you can see some of Oahu’s most stunning landmarks like Koko Head and Koko Crater. Just a warning, there’s little cover on this trail so make sure to bring water, a hat, and plenty of sunscreen. I even recommend going early to avoid the worst of the heat! Considered to be one of the best hikes in Honolulu, Manoa Falls Trail is just a short drive from downtown and can be accessed at the end of Manoa Road. You can park for $5 and make your way to the 1.6 mile-long trail. It’s an impossibly lush spot, most famous for its appearance in Jurassic Park and LOST. If you’re a fan of rare plants, you can also visit the nearby Lyon Arboretum and Botanical Garden to see endangered plants native to Hawaii. While swimming isn’t allowed at the waterfall pool, the waterfall itself makes this hike worth it. I recommend wearing comfortable, closed-toe shoes since this trail tends to get quite muddy. A short hike that will make you feel like you’re on top of the world, the climb to Mount Lahilahi is nothing short of majestic. 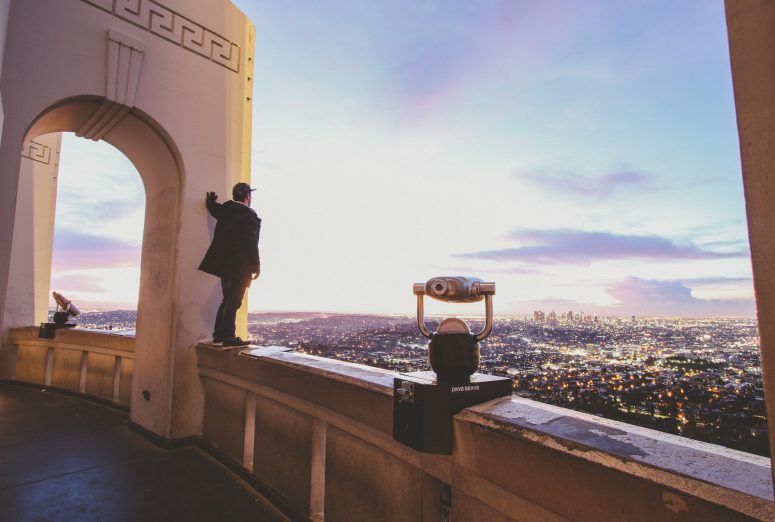 People with a fear of heights might be skeptical, but if you can brave the ascent to the top of the peak, you’ll be treated to gorgeous views of the nearby valley and beaches. If you’re lucky, you might even see a couple of whales and sea turtles! This is a hike that requires some technical ability to get to the top, so it’s best to not bring toddlers or dogs. But, definitely bring your camera or drone for some amazing footage. 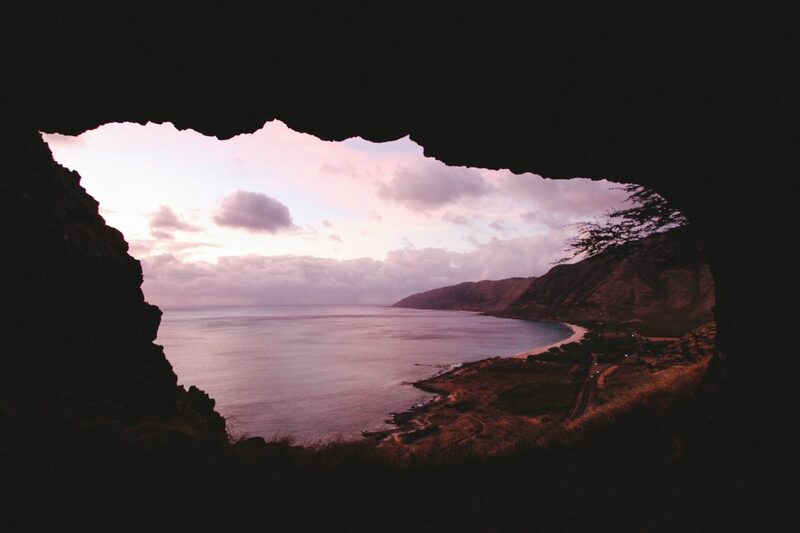 The trek to Upper Makua Cave isn’t terribly taxing but still likely to give you a nice leg workout! If you park at the dirt lot closer to lower Makua Cave and head towards Kaena Point, you can find the trail’s entrance right before the 25 MPH sign. Once you get started on the trail, take the right at every fork you encounter. You’ll encounter a lot of loose gravel and no shade, but you’ll be rewarded at the end with an epic view from the cave mouth and the western shoreline. Perfect to test out those wide angles on your camera! One of the most popular hikes in Waikiki, the steep but easy Diamond Head hike begins in the middle of a volcanic crater. You’ll have to climb around 500 feet worth of switchbacks and stairs before you get to the top of the rim for those otherworldly sights. What do I mean by otherworldly? Simply imagine that you’re on the rim of a massive crater that’s over 475 acres large and all you see are azure waters and lush green fields. The entrance to hike the trail closes at 4:30 p.m., so make sure you arrive before then and clear out of the park before the official closing time at 6:00 p.m.
For those who don’t know what a pillbox is, it’s a block-shaped building that often doubles as a guard post. There are plenty of abandoned pillboxes scattered across Oahu which offer you a spectacular lookout point from high up. The Lanikai Pillbox hike takes you along the rocky Ka’iwa Ridge and treats you to delicious views of wonderful white sand and calm waters. Even though the trail might be steep, it’s a relatively short hike so you can easily fit it in before heading down to Waimanalo, Lanikai and Kailua Beach! There are no guardrails so be sure to navigate the route with caution. If you’re looking for some cliff jumping action, Maunawili Falls is the way to go. 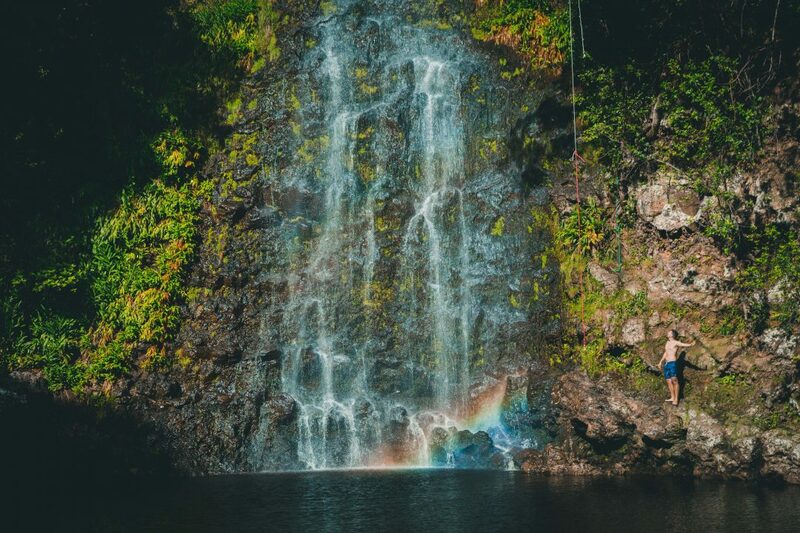 Hands down one of the best waterfall hikes in Oahu, Maunawili Falls is perfect for washing away all the mud you’ve accumulated in the swimming hole at the base of the falls. The trail itself wraps around the Koolau Mountain Range and ends in Waimanalo, surrounding you with dense, leafy foliage. When you’re looking for the entrance be respectful of your surroundings and the local residents. There are no bathrooms or pit stops available, so don’t leave your trash behind on the trail. Want to have a challenging hike that doesn’t trigger your fear of heights? 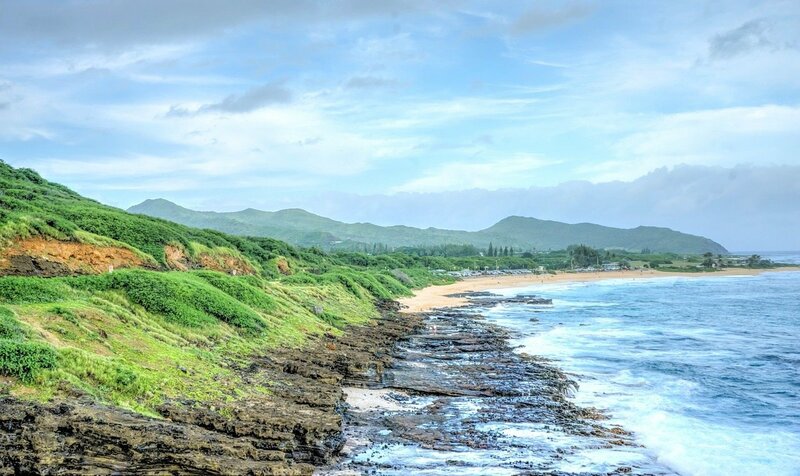 Kaena Point is a great option for those who are looking for proximity to the waves rather than thrills. Because you’re walking along the ocean coast, you’ll find plenty of wildlife like seabirds, seals, and even wild pigs! Two warnings — first, there’s little shade to be found so make sure to bring sun protection. Secondly, when parking, be careful not to leave valuables in your car, since break-ins tend to be common. 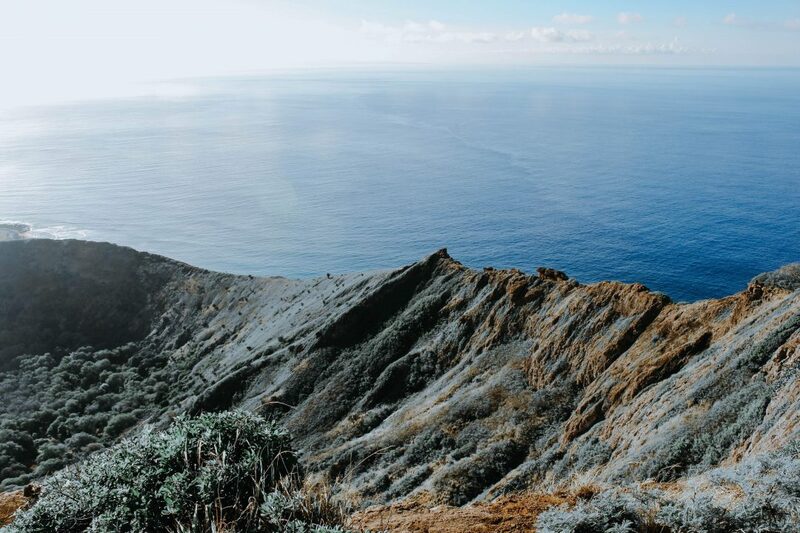 If you want to explore Oahu’s Windward Coast, Wiliwilinui Ridge Trail guarantees you some of the most beautiful sights in Oahu with its turquoise waters. 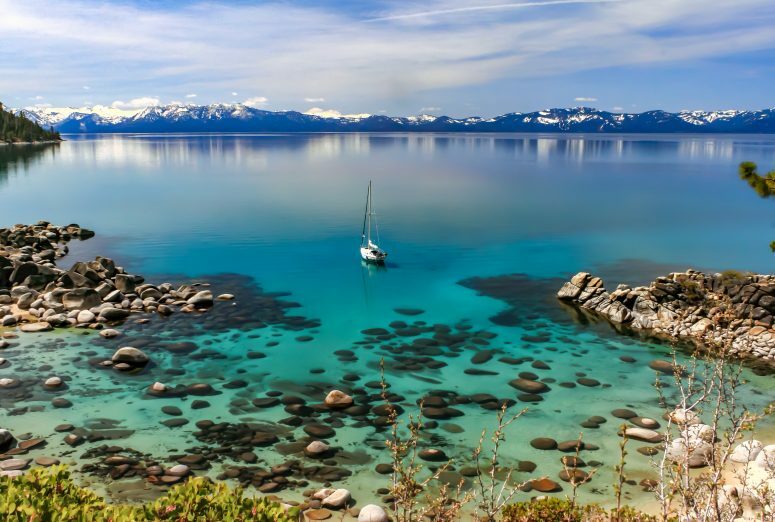 Take your time to enjoy and snap photos along the first couple of miles, but be prepared to do some climbing for the last stretch of the hike. Once you make it to the top, you are greeted by a 360 degree panoramic view of the entire island. Not a bad deal. Since you’re on the windward side of the island, the climate will be considerably damper compared to other parts of Oahu. Make sure you wear shoes that can withstand the mud and a light waterproof layer! If you’re tired of all the emerald valleys surrounding you, the Pu’u O Hulu or Pink Pillbox Hike is a wonderful alternative to experience golden grasses. You’ll hike along a short ridge hike on the leeward (NOTE: dryer/hotter) side of Oahu overlooking endless miles of beaches. This hike is known for the iconic Pink Pillbox, painted in its signature bright hue as a dedication to Breast Cancer Awareness. While you’re making your way up to the Pink Pillbox, you’ll also come across several other pillboxes that’ll provide you an equally great vantage point of Nanakuli and Waianae. Although there are drop offs in some areas, this hike isn’t particularly dangerous — a perfect blend of relaxation and adventure! Feeling a little low on your luck? 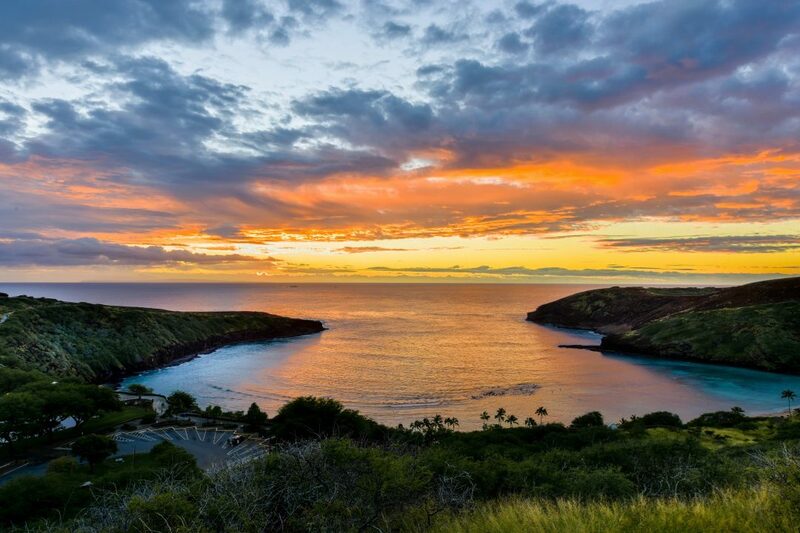 It might be time to visit the 4-leaf clover bloom along the Hanauma Bay Rim Trail (also known as Koko Head Rim Trail), a 4.2 mile loop trail near Honolulu that starts at the Hanauma Bay bus stop. Although you won’t necessarily be fined, this trail is monitored due to its proximity to government buildings and radio towers, so just don’t mess around on the trail. Often mistaken for the Koko Head Crater Trail, Koko Head Rim Trail can be found on the ocean side of the state and does not come with the iconic railway stairs. Although it’s less popular than its sister trail, it doesn’t mean that the sights are any less stunning. In fact, you’re treated to an up-close view of a sea cliff rock bridge near Pai’olu’olu Point. 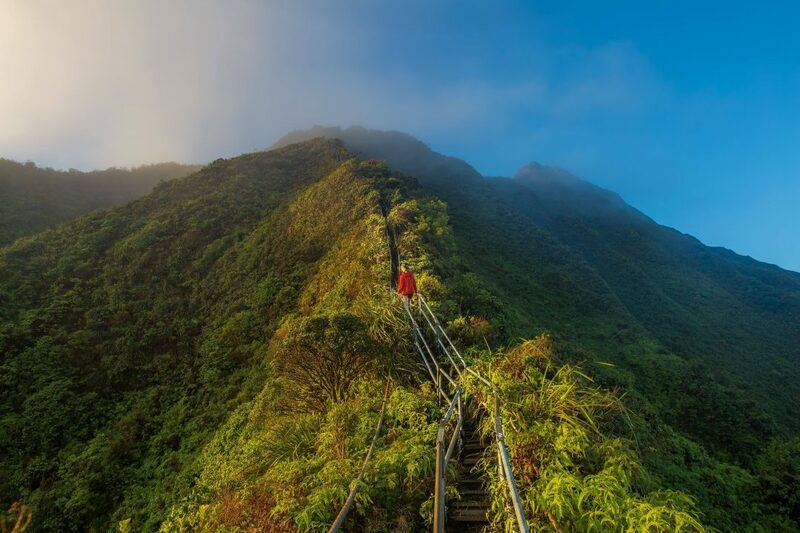 The Haiku Stairs are one of the most striking attractions of Oahu. The Stairway to Heaven is 3,922 stairs of glute-busting adventure where you practically climb up the side of the mountain with only one set of handrails for guidance. Climbing the stairs is exhilarating, but it’s also very dangerous and thus closed off to the general public due to their state of disrepair. You can try to avoid security and jump rusty fences through private property and risk getting fined up to $1-2K. Or, you can opt for the alternate legal route up the Moanalua Trail. The 9.3 mile round-trip will be muddy and require rope climbs, but the views of the stairs are completely worth it. In fact, once you get to the top, you can climb down the stairs for a considerable length since the likelihood of security catching you at the top is minimal. A very popular hike near Waikiki and Honolulu, the famous Koko Head Crater Trail can be found in Hawaii Kai. Although the trail itself is not that long, be prepared for a steep climb to the top of the crater. The most iconic part of this trail is the 1,048 stairs made out of abandoned railroad tracks outlining the crater’s perimeter. 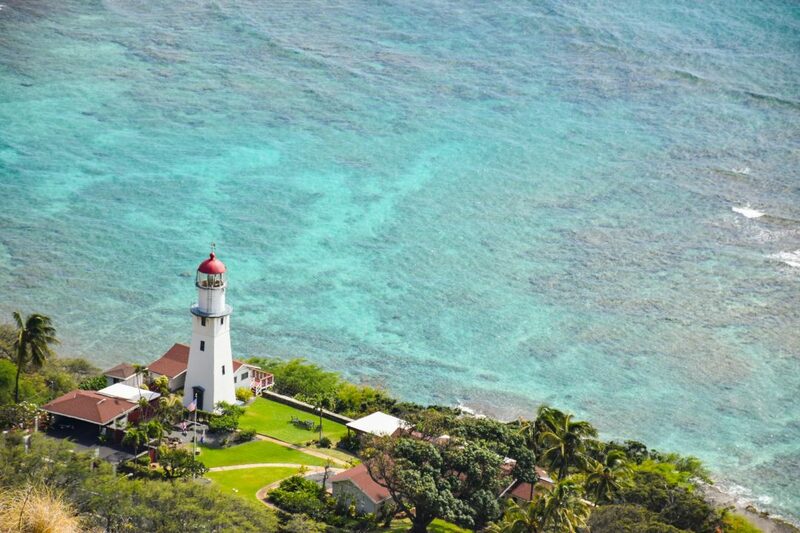 Once you make the harrowing trek up the stairs, you’ll be greeted by paradisal views of the eastern coast and the Koko Crater Botanical Garden. Guaranteed to make you break a sweat, Olomana Trail (or Three Peaks Trail) in Kailua starts at the intersection of Maunawili Road and Auloa Road, off Pali Highway. You can easily find street parking since there is no direct parking at the trailhead. There are three peaks that you can use as trail markers along the hike, but they’re all characterized by steep climbs and drop-offs. Mount Olomana (the first peak) offers 360 degree views, the second peak is more easily reached than the first, and the last peak is only accessible if you can climb the ropes all the way up. Once you hit the third peak and pat yourself on the back for being a badass, you’ll have to climb the first two peaks again on the way back. Bring plenty of water and beware of the drop-offs. There have been a few fatalities on this trail due to slips and falls. If you’re up for adventure and you have the energy, Ka’au Crater is one the best hikes on Oahu. 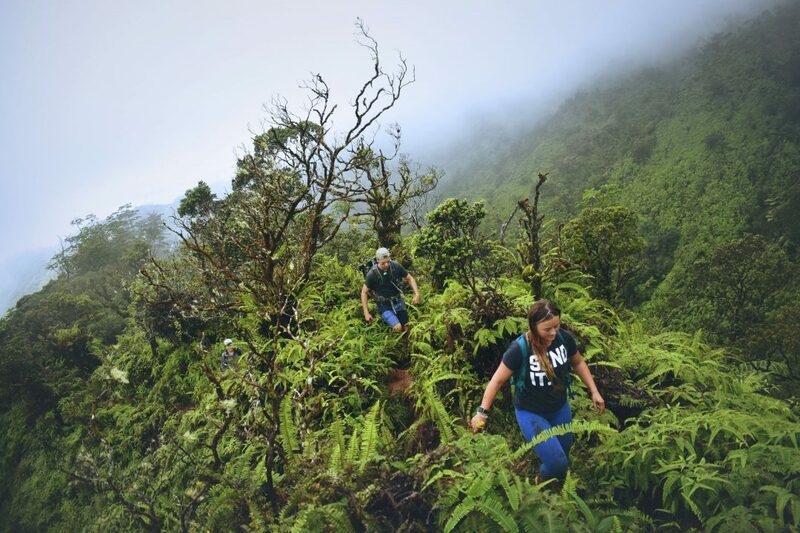 I only recommend Ka’au Crater Hike to experienced hikers, since this trail is not well-marked, can get extremely muddy, and will involve upper body strength. If you’re ready to tackle all that, then get ready for three of the most stunning waterfalls you’ve ever seen plus dazzling views of Oahu’s eastern coast. Most people like to hike to the first waterfall and back to the trailhead — that part of the trail is manageable for most hikers. However, once you hit the third waterfall, you’ll have to clamber on top of the ridge to continue the hike. This is where the danger starts to kick in, since you have to climb in extremely muddy and slippery situations. Continue with caution and make sure you’re well hydrated and energized on water and snacks. Just because the Pali Notches is a short trail in terms of distance doesn’t mean that it’s not physically demanding. In fact, I only recommend Pali Notches for fit hikers who also have plenty of experience rock-climbing as well. Not only do you gain some serious height just to reach the ridge of the Pali Notches, but you can also embark on the challenge of navigating the two “notches” and “The Chimney” wall to reach the highest peak in the Ko’olau Range. 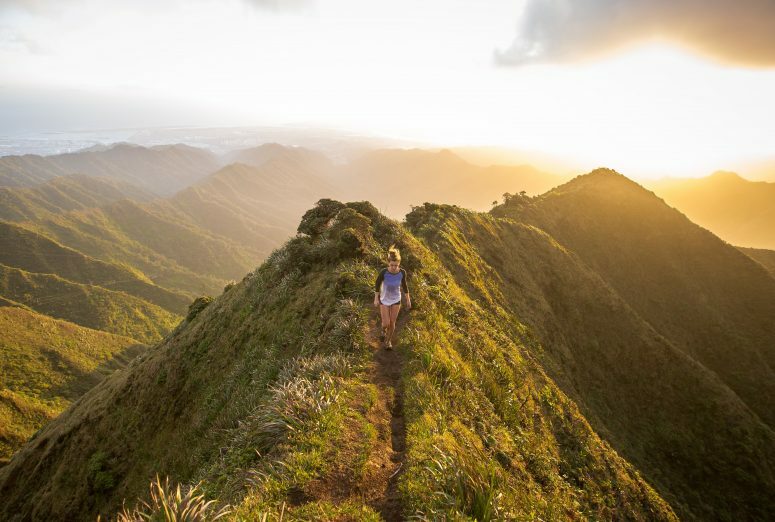 Is this hike totally worth it for the insane views of Oahu’s windward side? YES. Home to some of the most incredible waterfalls in Oahu, Seven Falls Hike gets my vote for the best daredevil hike on the island. Not only do you have to climb each waterfall using ropes to make it to the next waterfall, but you have to wade and even swim through the water for the majority of the trail. The Seven Falls Hike begins at the end of Maakua Road — if you walk past the yellow gate, you’ll find yourself on a paved path that will take you further into the rainforest. The legality of this trail is not known, so be sure to be discreet and follow the trail marker tape closely as you go further into the valley. Once again, exercise caution and use your best judgment while on this hike, especially given how rapidly weather conditions in Oahu change. If you’re looking for an absolute adventure, conquering Seven Falls would be a crowning achievement. When you combine hot with humid, you’ll definitely get more steam than you bargained for. Consider wearing contacts over glasses for outdoor activities, since the humidity may affect your visibility. 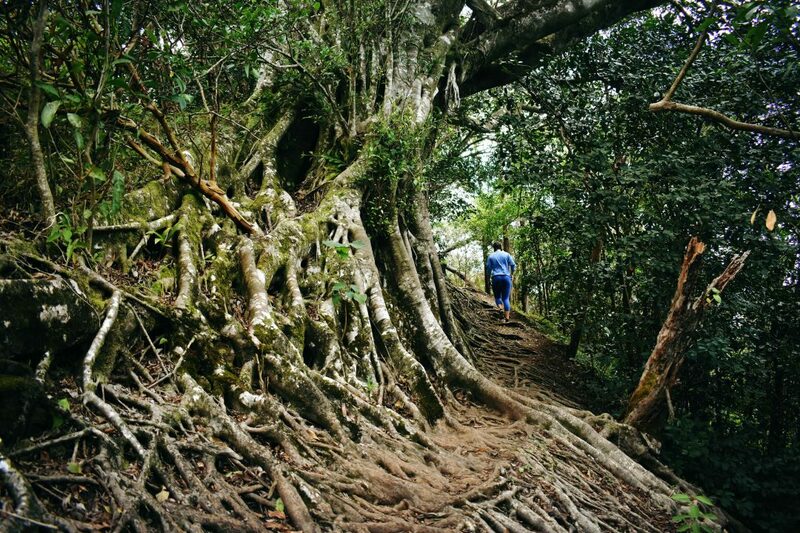 Since it rains often in Oahu, hiking trails can get extremely muddy. Wear proper shoes that you don’t mind getting dirty and have proper grip; you’re not going to the beach, so don’t wear flip flops or sandals. Use your best judgment when it comes to the weather. Rain can make for slippery trails, so it’s better to stay on the safe side and not hike if it’s been raining TOO much. You definitely don’t want to get caught in a mudslide or flash flood. A lot of the hiking trails in Oahu cut through private property or dangerous areas, so make sure you stay on state-sanctioned trails. Otherwise, you risk receiving a hefty fine from cops that stake out the entrances. You also want to beware of wild animals, especially wild pigs. The more challenging hikes in Oahu require you to scale areas vertically, so make sure that you have adequate upper body strength before risking the climb. There may be ropes available, but always test their strength before you start climbing them. If you’re looking for some relief in the sweltering humidity, rest assured that there are frequent refreshing periods of rain. When you’re on the trail, remember to bring a waterproof/moisture-wicking layer to protect yourself from the elements! Why is it that all humid climates seem to attract mosquitoes like bears to honey? Pack that bug spray and consider wearing long layers! Your skin will thank you later when you’re not scratching your bites with regret. The hiking trails in Oahu are known for their lush foliage and adventurous terrain, not their convenient pit stops. You won’t find many outlets on the trail, so be sure to bring an extra battery pack if you’re embarking on a hike that’s longer than a couple hours long. Depending on where you hike, there can be long stretches where you have no shade at all. Slap on some sunscreen and protect yourself from those UV rays. This way, you won’t be sporting an angry-looking sunburn on your beach bod. Because it’s so humid, it’s very easy to underestimate how much you’re sweating and working out. Prevent dehydration by filling up a hydration pack. Depending on the size of the pack, you can easily pack at least 1.5L of water plus some snacks and other essentials. Although you might be looking for something challenging and adventurous on these Oahu hikes, hotels in Oahu are designed with kicking back and relaxing in mind. I’ve listed a couple of options depending on where you want to be based on the island, whether you’re looking for something budget-friendly or want to go all out with the resort lifestyle! Located in Wahiawa and just a 30-minute drive from downtown Honolulu. This modest property has been consistently ranked at the top for best value and offers a barbecue, terrace, and shared kitchen. If you want to experience what it’s like being a local, Aloha Wahiawa is in a prime location near cafes, restaurants, and attractions like the Dole Plantation. If taking a dip in waterfall holes isn’t enough water for you, jump into the massive swimming pool at the Courtyard by Marriott Oahu North Shore! Then, you can literally cross the road to access the beach. The Courtyard by Marriott is also conveniently located near the Polynesian Cultural Center, one of Oahu’s landmark attractions. 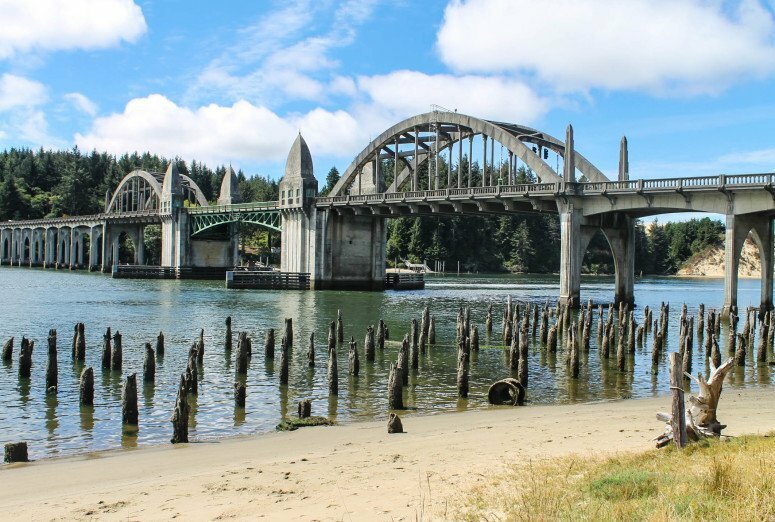 This theme park and museum is a great place to experience 42 acres of island history. 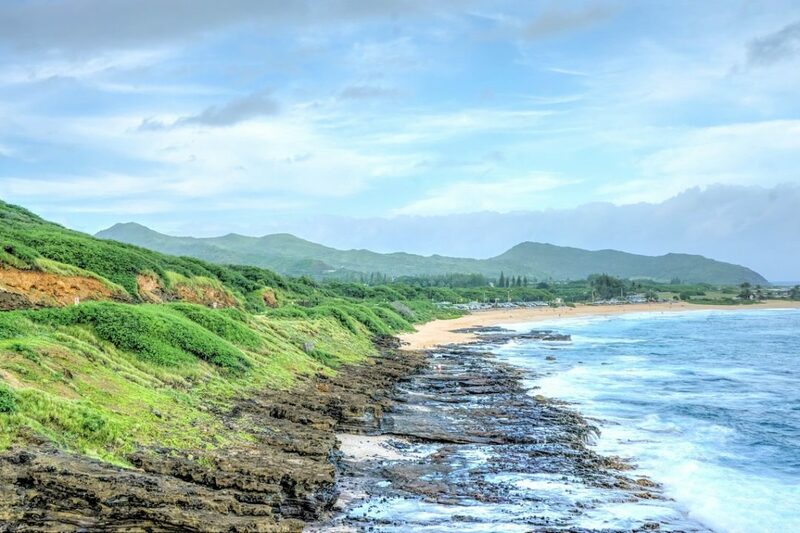 Boasting 5 miles of prime beachfront, ocean-view rooms, and two world-class golf courses, Turtle Bay Resort offers all the comforts under the sun. Guests can easily pick up snorkeling gear, take surf lessons, or play a game of tennis or two at the resort courts. If you want to stay somewhere that is easy on the wallet, Waikiki Beachside Hostel is a popular option due to its proximity to great restaurants, live entertainment, and booming nightlife. The hostel itself periodically hosts parties and rents out surfboards, scooters, and mopeds so you can enjoy laid-back Waikiki in style. Looking for accommodations that have a cosmopolitan atmosphere? The Hyatt Centric Waikiki Beach is the place to enjoy high rise views, with outdoor fire pits and a lounge with a wading pool. This beautifully modern hotel is in a central location as well, meaning you’re never too far away from a beach, cultural touchpoint, or delicious food! If you want something more uniquely curated in your accommodations, VIVE Hotel Waikiki is perfect for your boutique tastes. 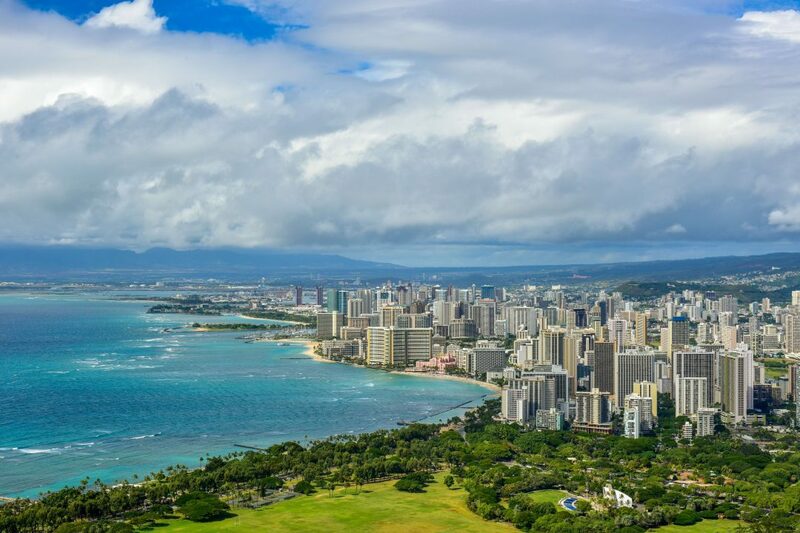 Just a 7 minute walk away from Waikiki beach and 2 miles away from Diamond Head, VIVE Hotel Waikiki can cater to your desire for 5-star adventure and your desire for 5-star comfort. Straight out of a glamour shot of old-school Hawaii, Moana Surfrider is the epitome of Westin’s good taste and exclusive experience. Home to a freshwater pool, incredible fitness center, the Moana Lani Spa, and its own museum, there’s little reason why you would ever want to venture outside. Unless, of course, you want to enjoy the resort’s own private beach or go hiking! Buy your Oahu Travel Guide here. 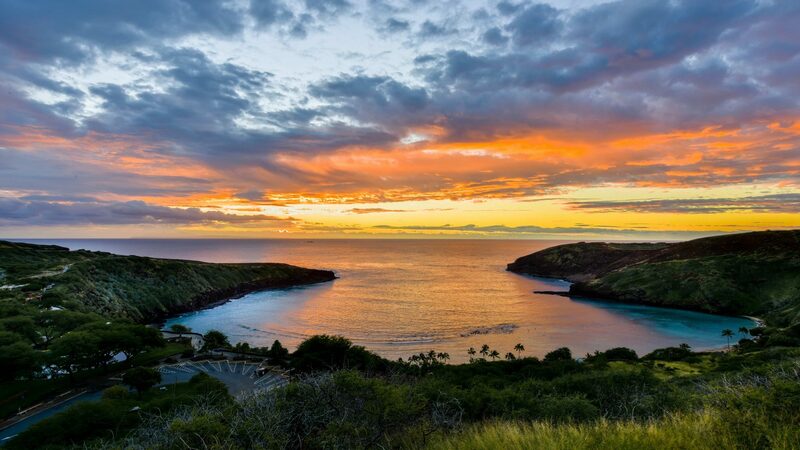 Interested in more Hawaiian travel tips and guides? Check out my related posts below to get inspired for more island adventures!